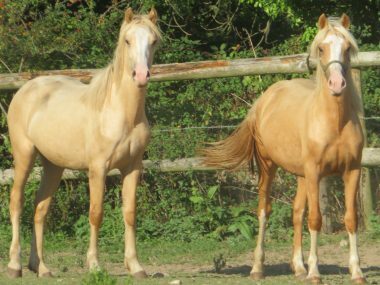 NOW GOLDEN VERY GOLDEN WITH DAPPLES AND VERY STUNNING!!! 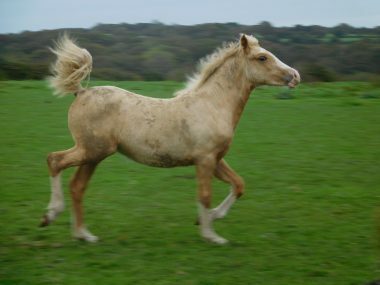 Gradually going more golden in colour with a few white hairs in his mane and tail! 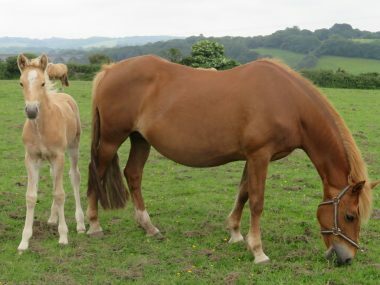 Photos below left and right taken when only a few hours old. 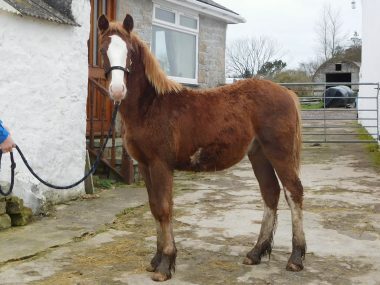 Photos below left and right taken in November and in his winter coat! 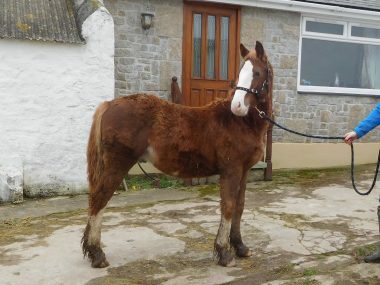 Photos below left and right taken in April 2018 and holding on to his winter coat! 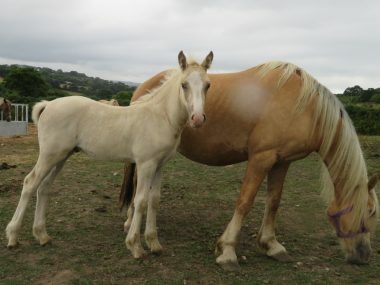 Photos below right taken when a day old and left 2 days old. 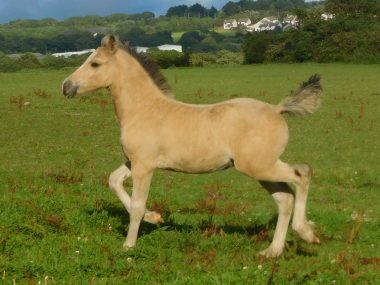 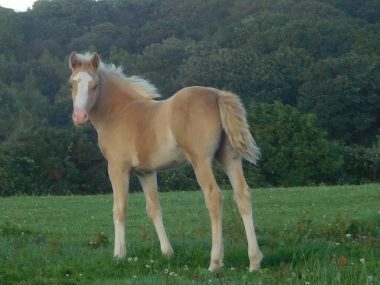 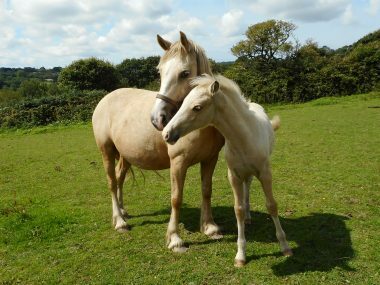 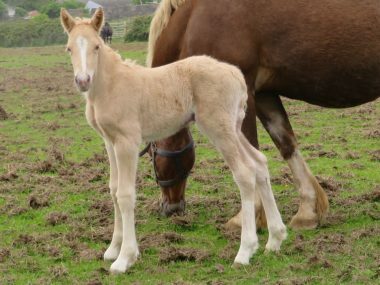 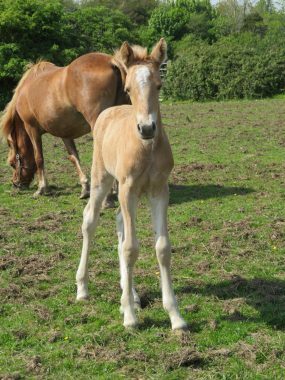 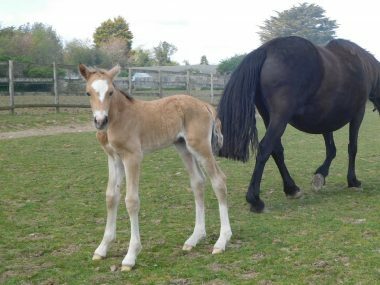 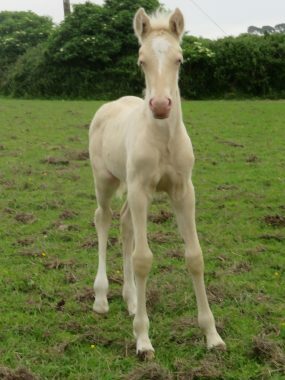 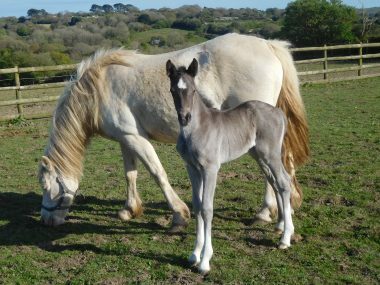 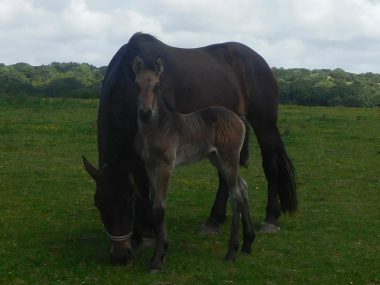 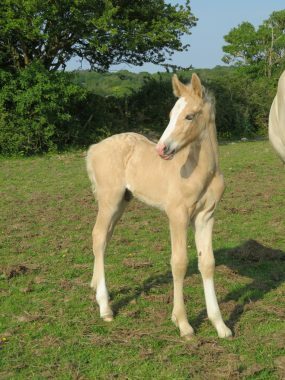 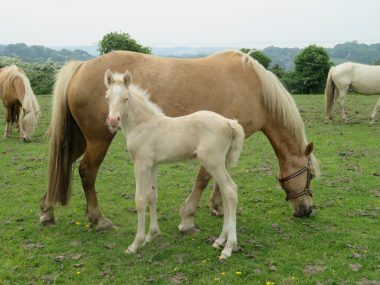 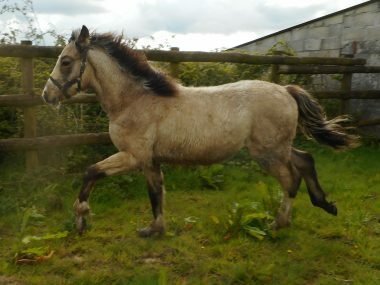 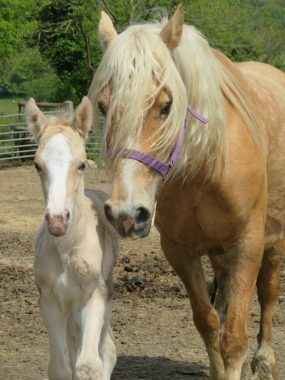 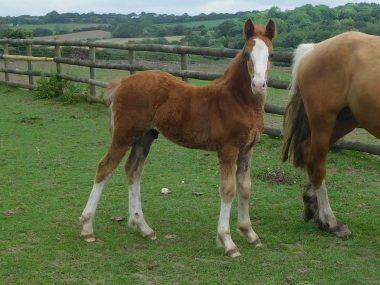 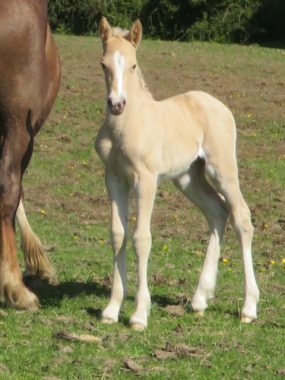 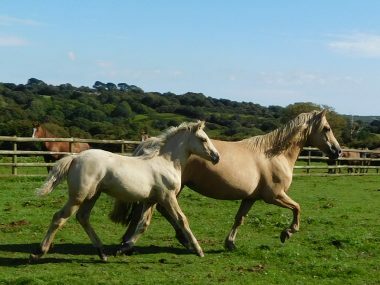 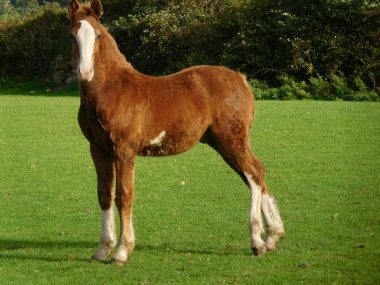 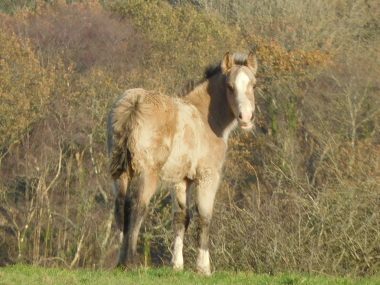 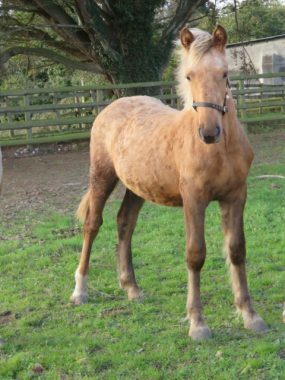 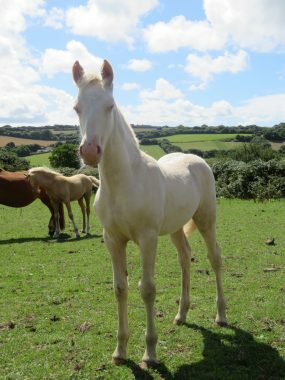 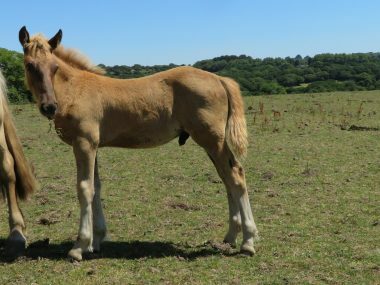 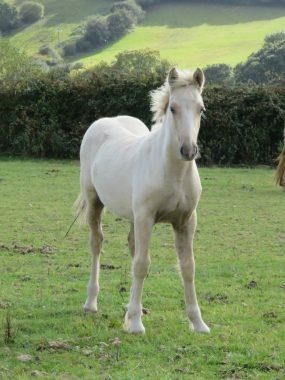 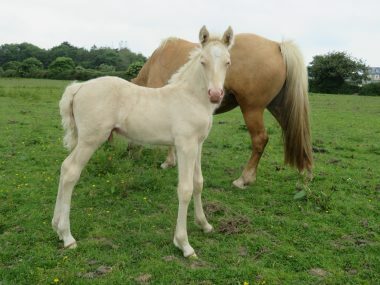 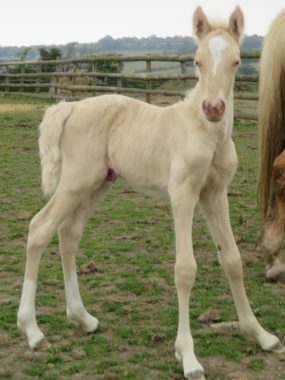 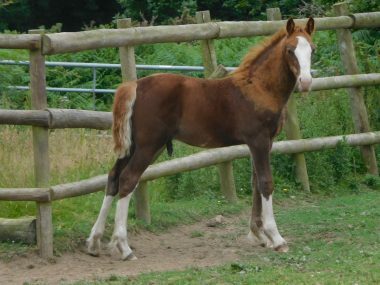 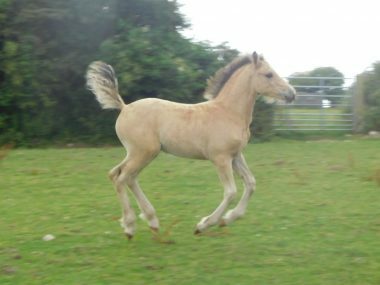 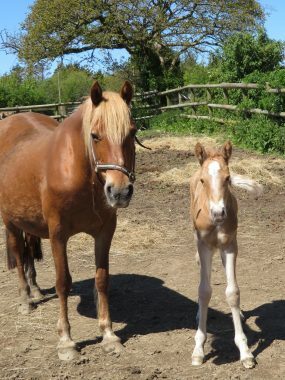 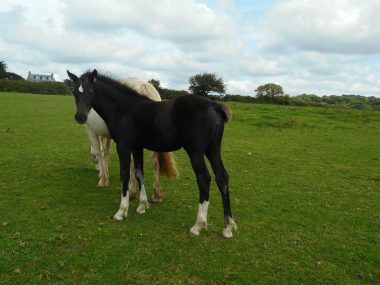 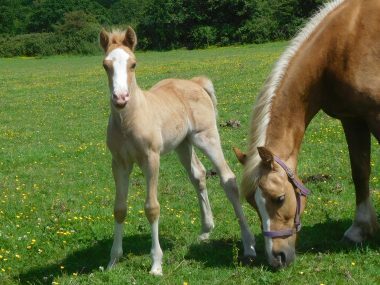 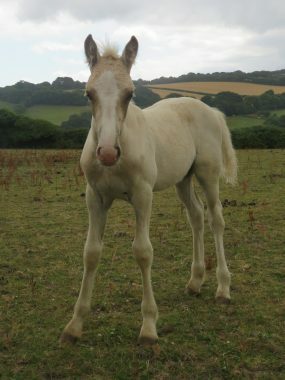 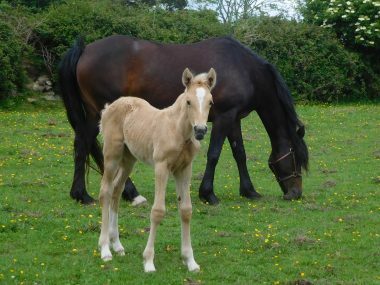 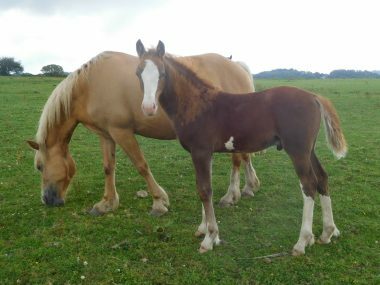 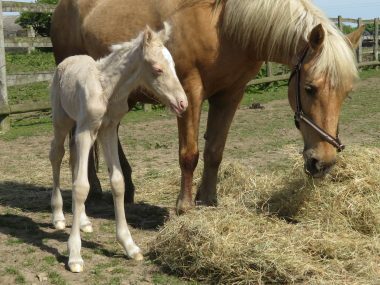 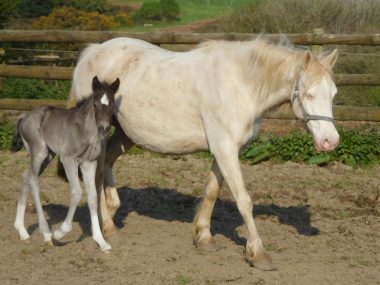 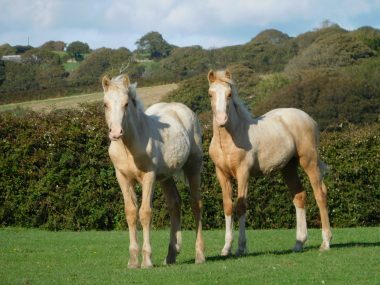 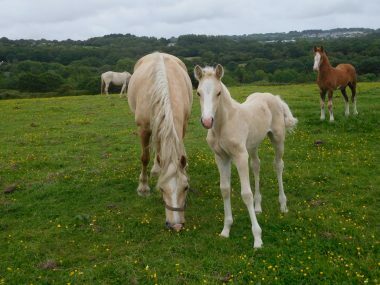 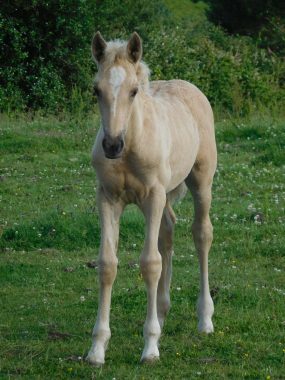 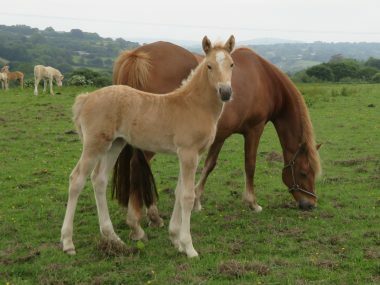 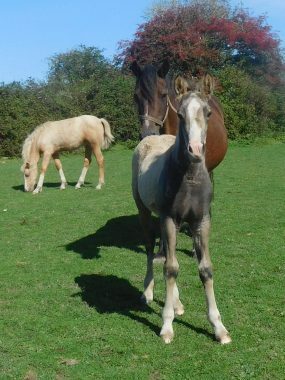 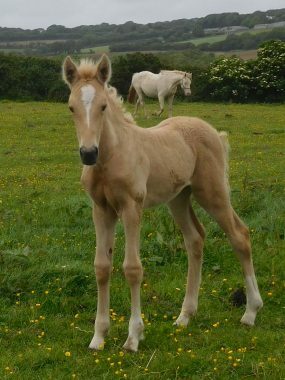 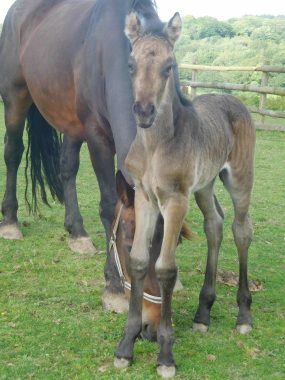 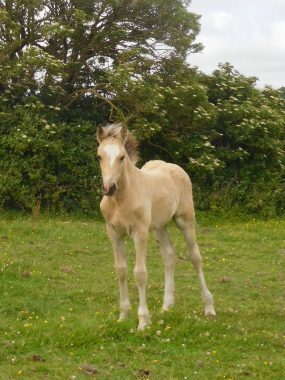 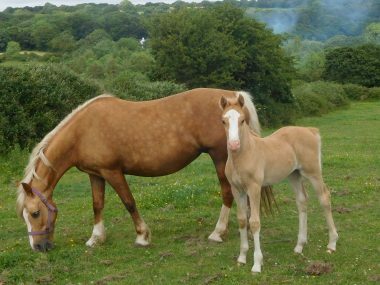 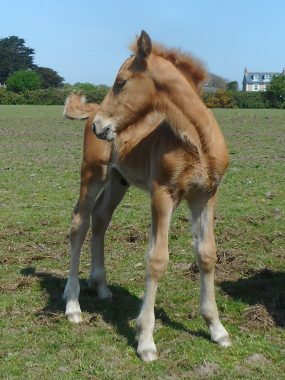 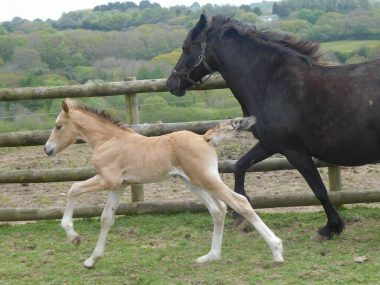 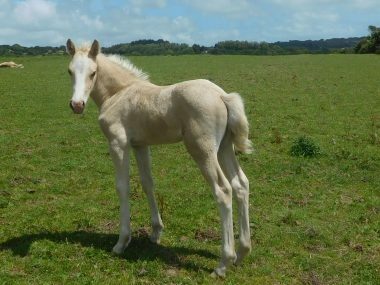 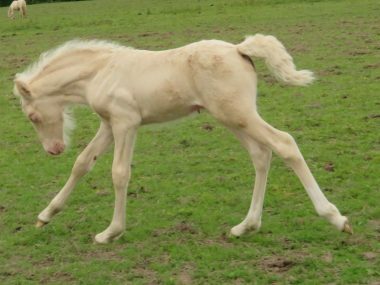 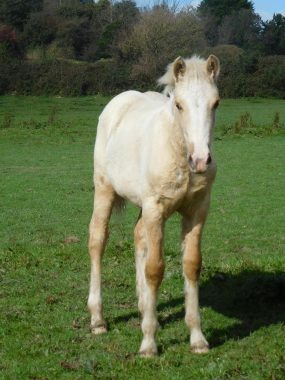 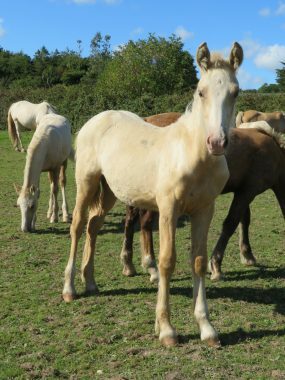 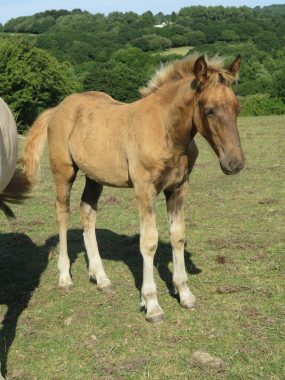 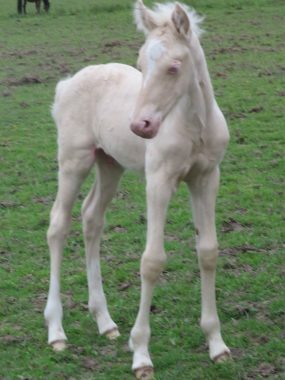 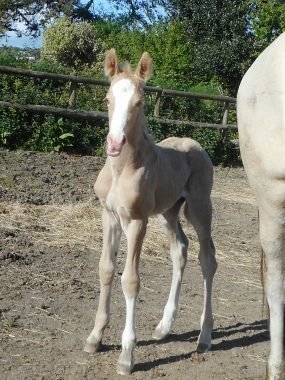 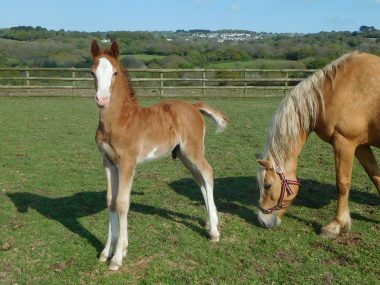 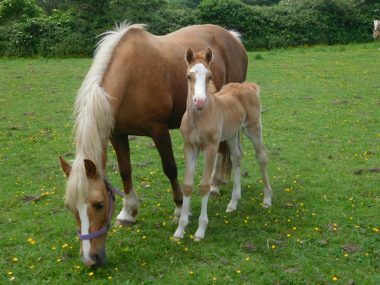 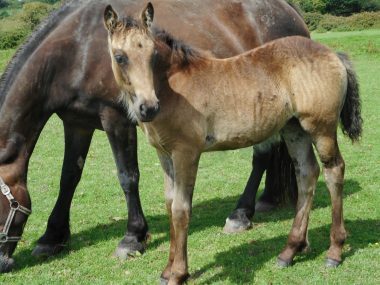 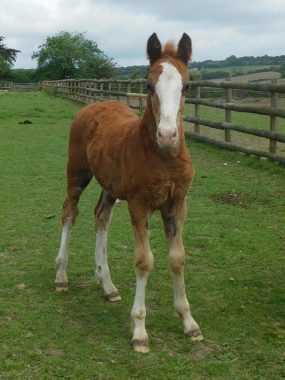 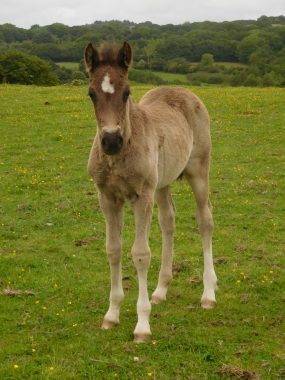 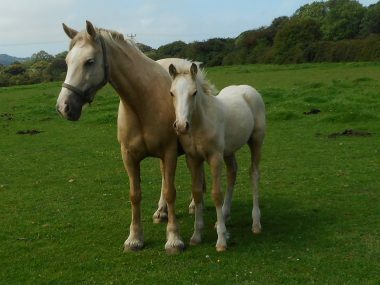 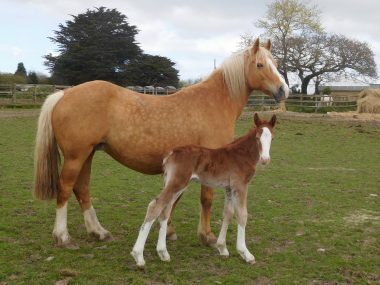 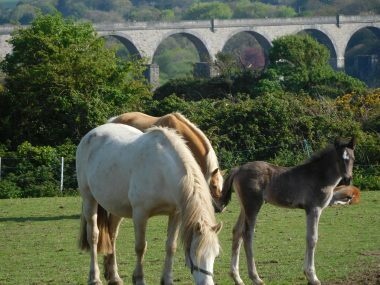 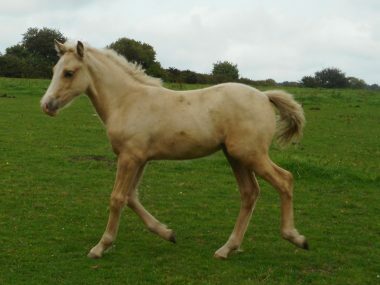 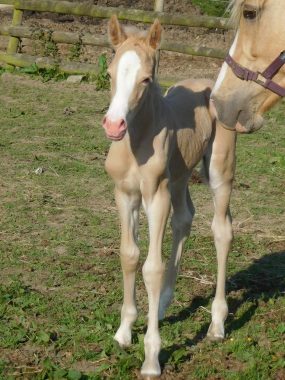 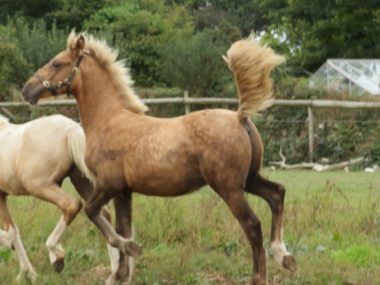 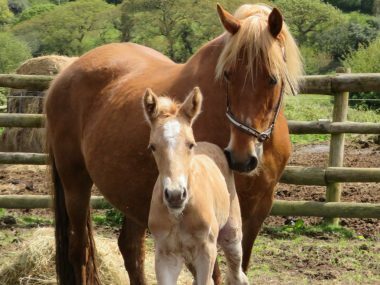 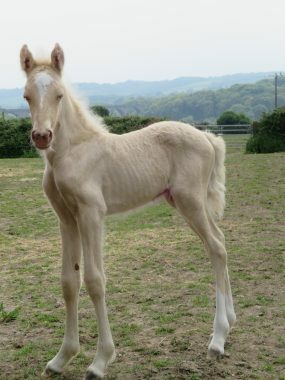 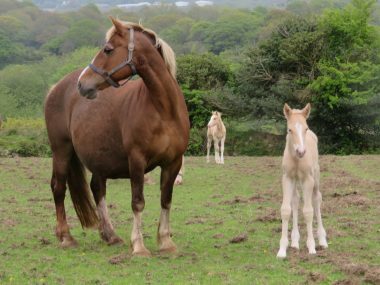 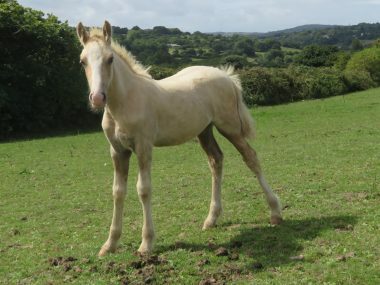 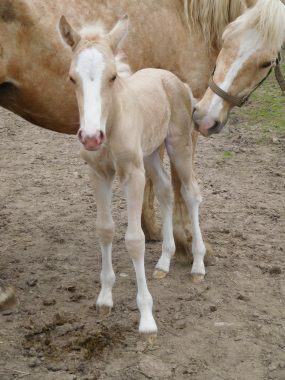 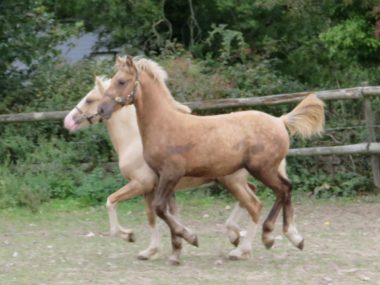 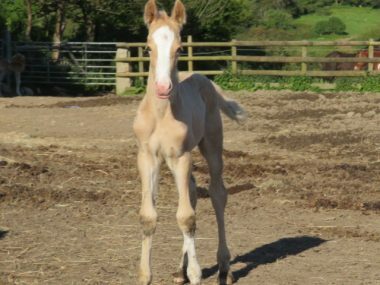 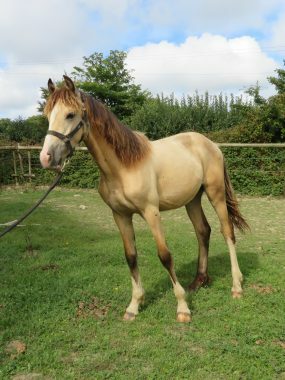 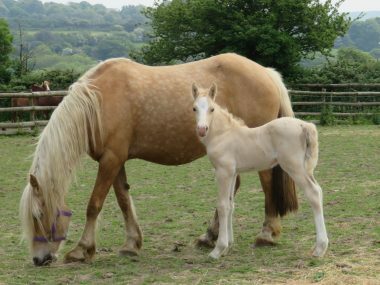 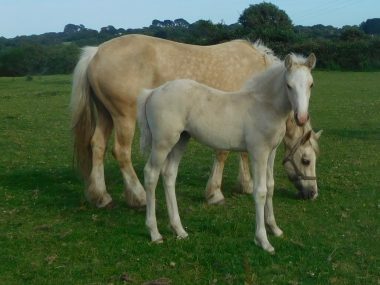 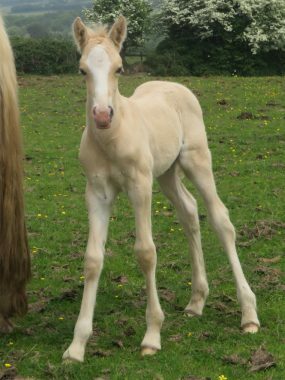 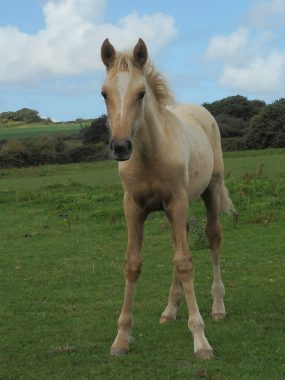 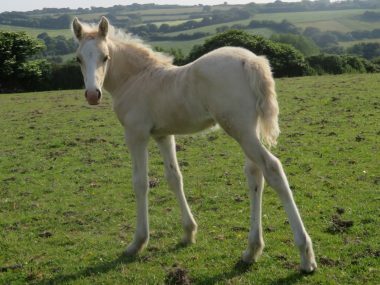 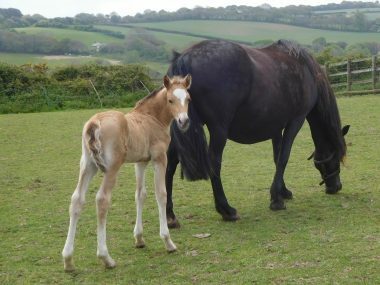 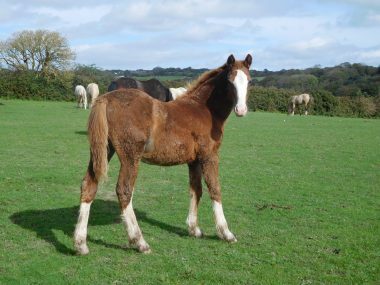 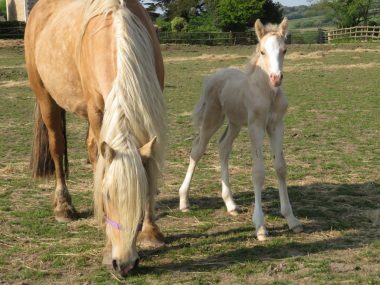 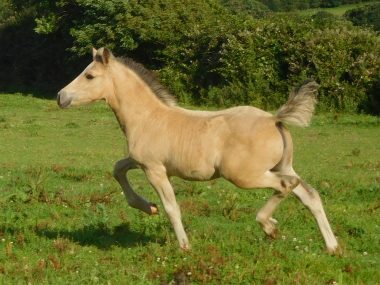 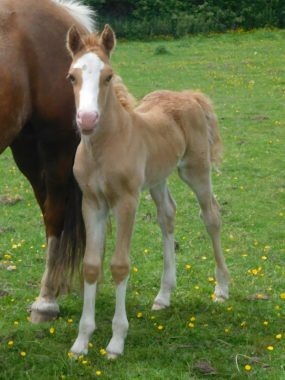 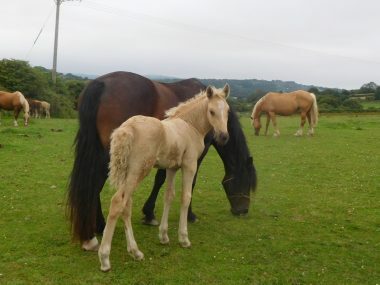 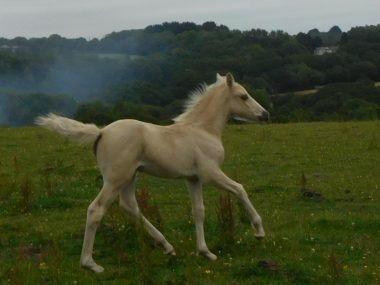 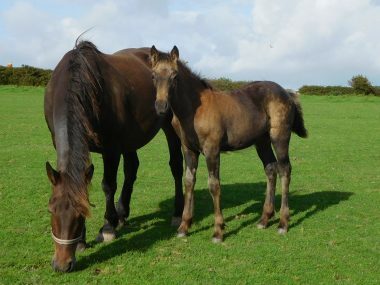 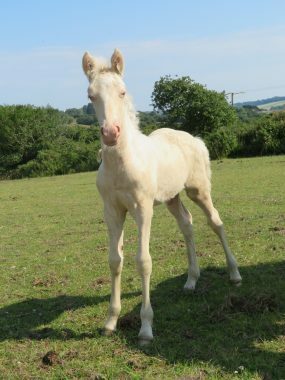 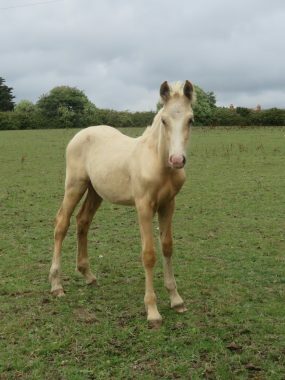 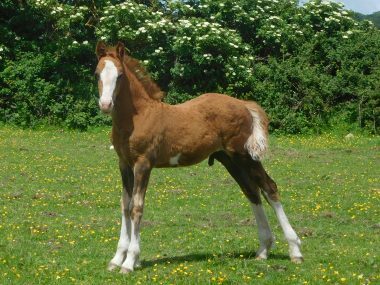 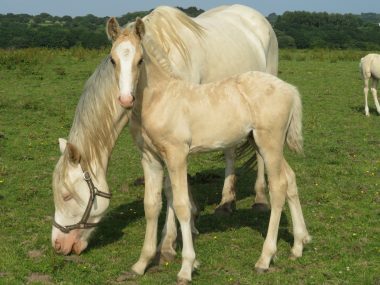 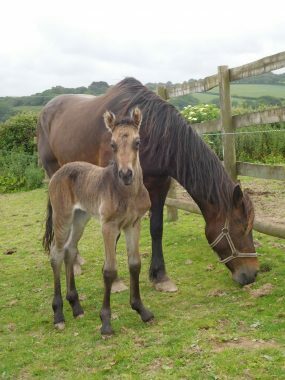 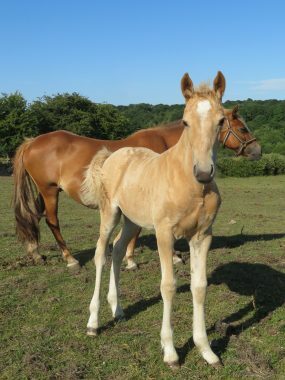 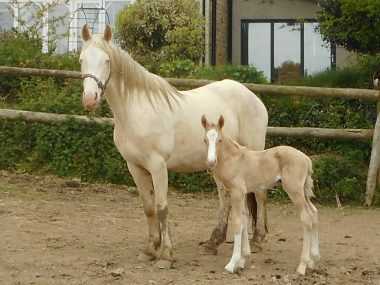 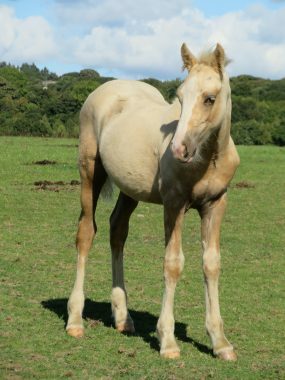 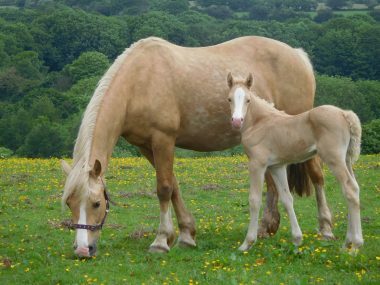 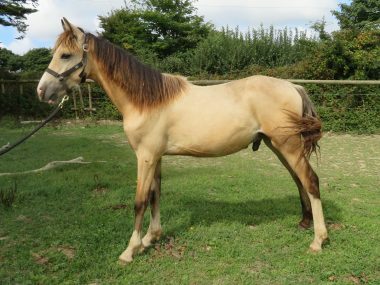 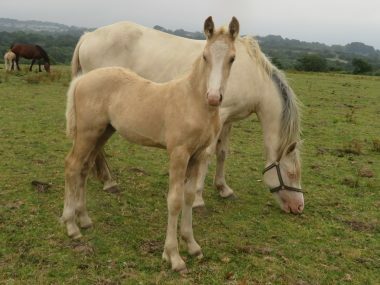 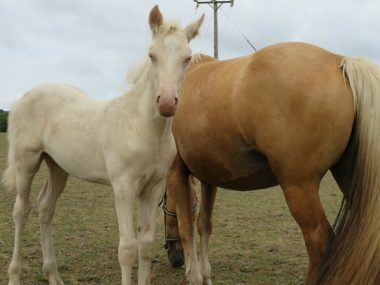 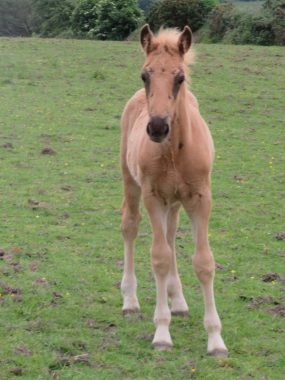 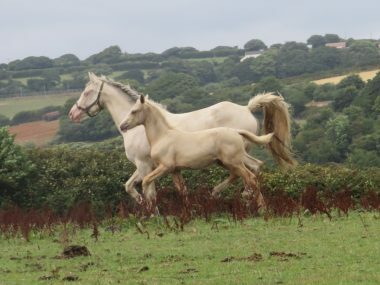 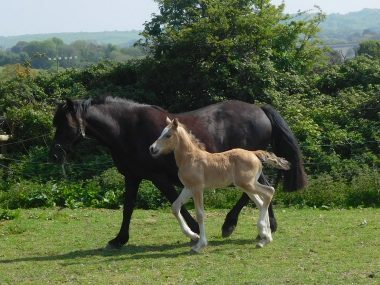 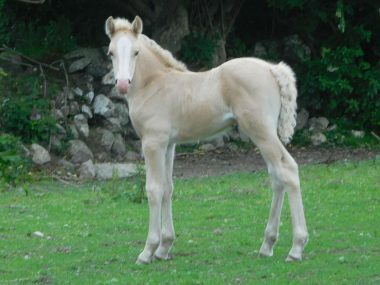 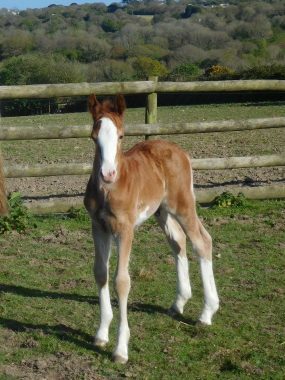 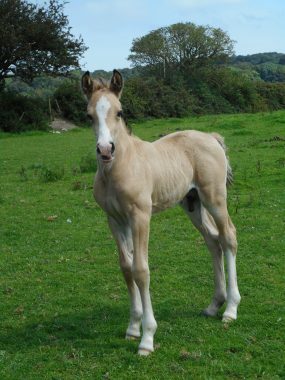 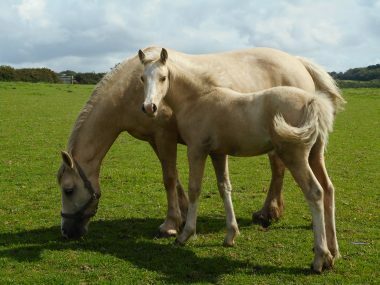 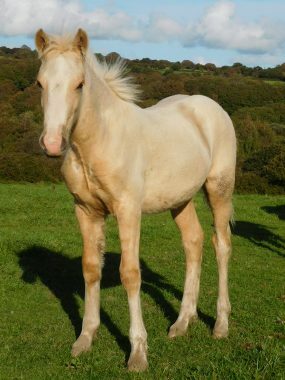 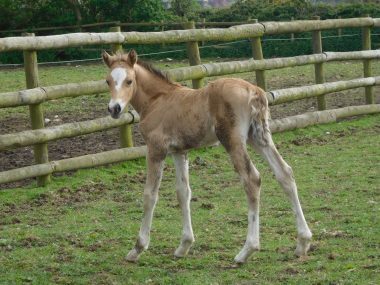 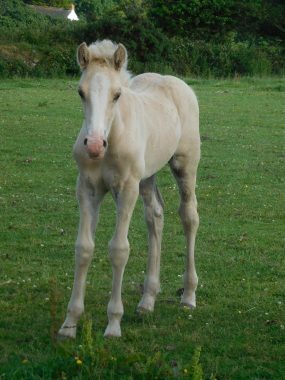 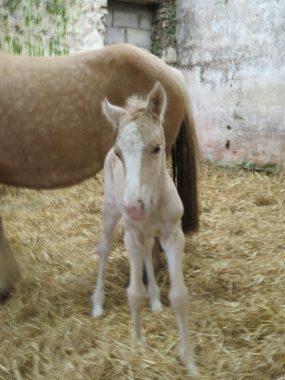 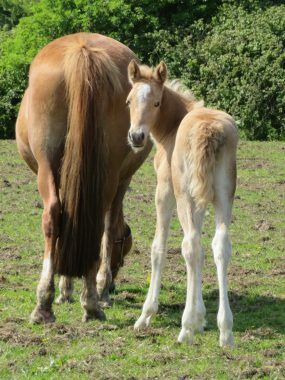 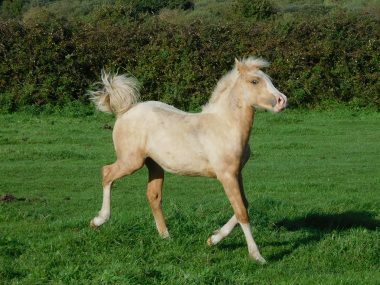 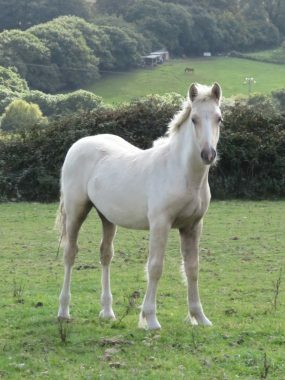 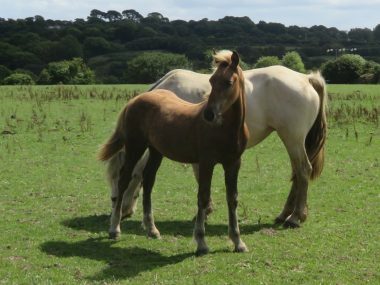 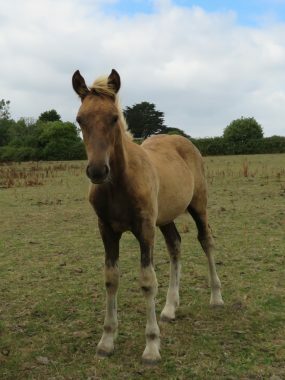 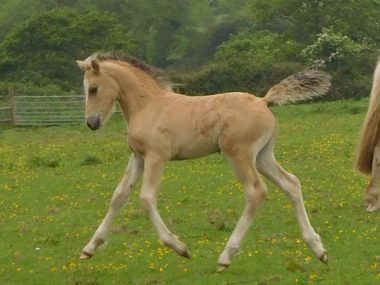 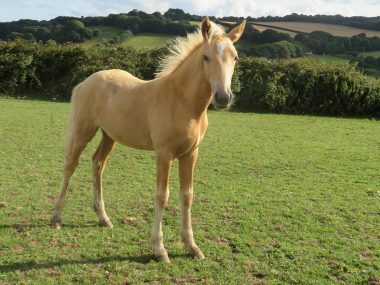 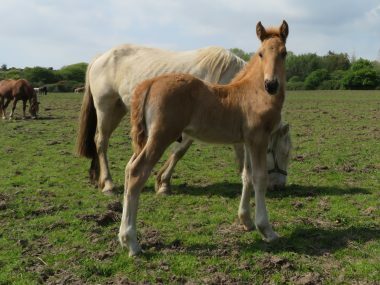 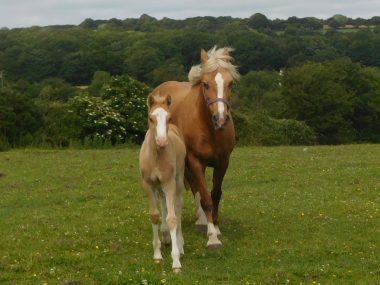 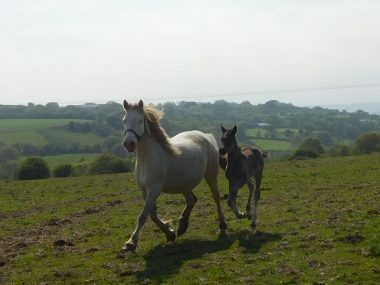 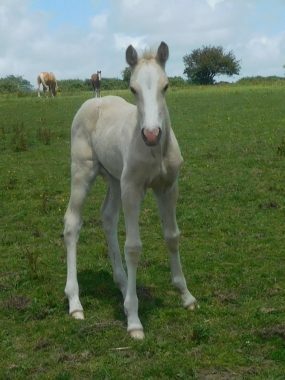 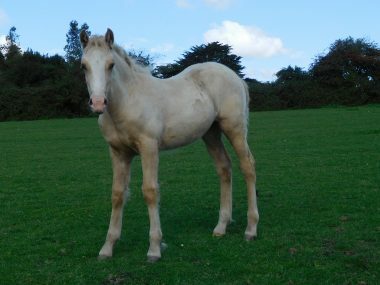 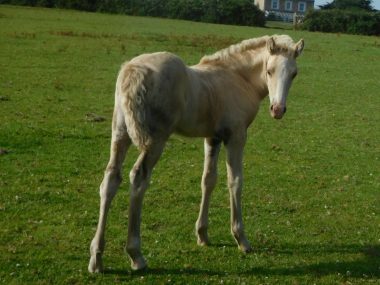 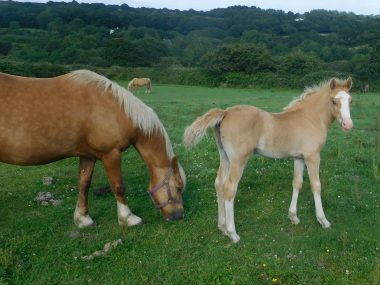 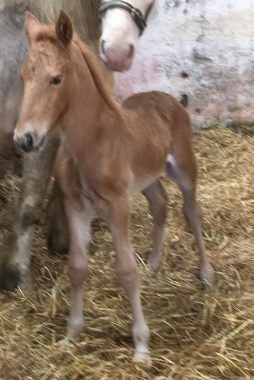 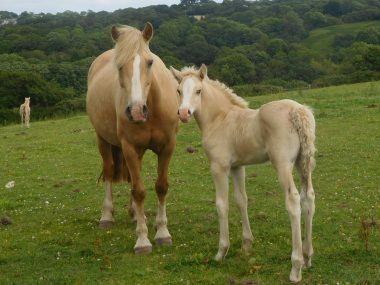 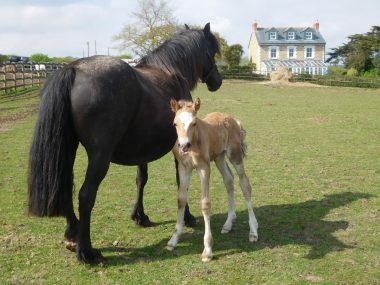 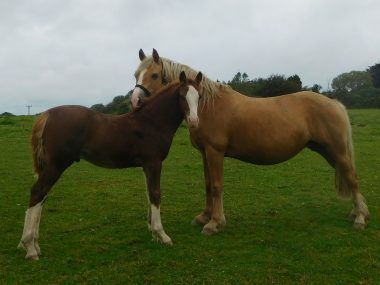 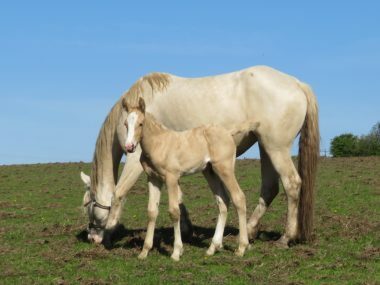 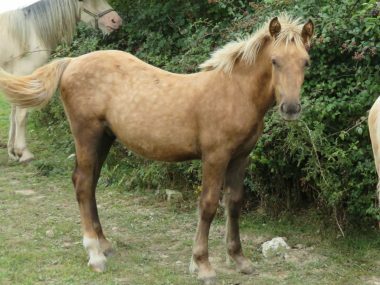 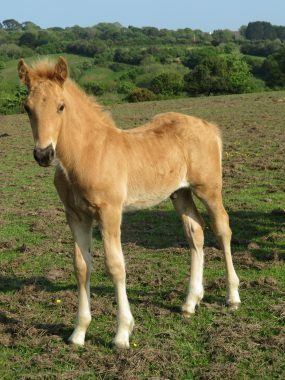 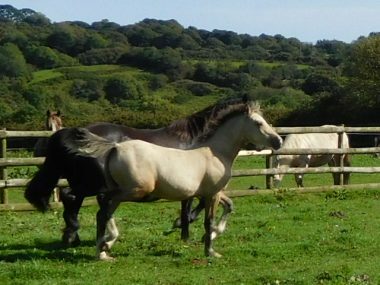 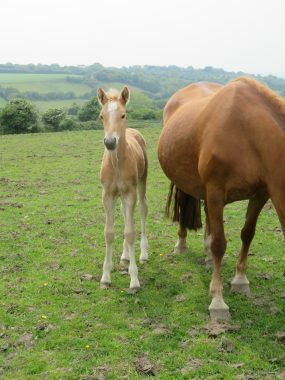 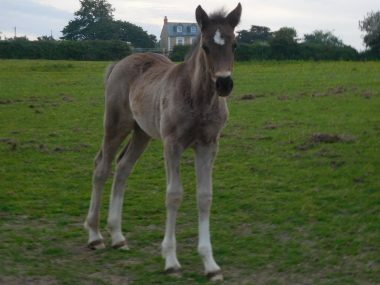 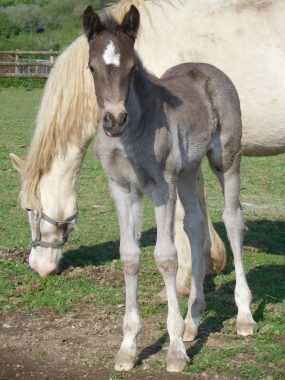 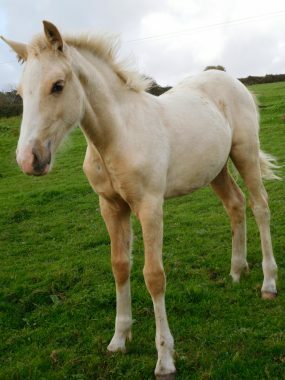 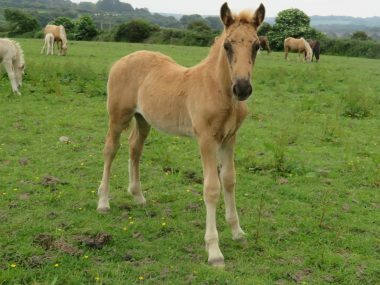 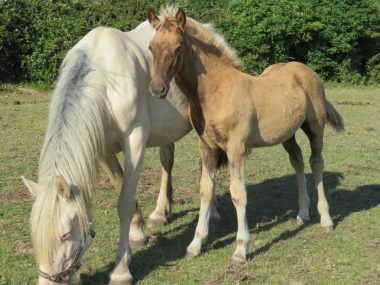 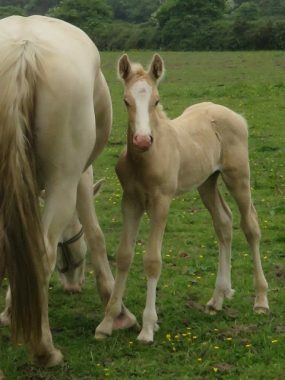 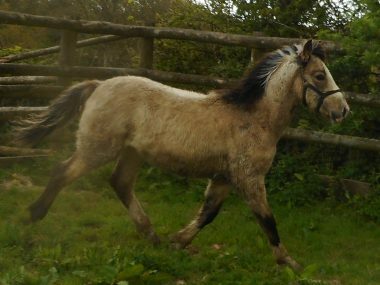 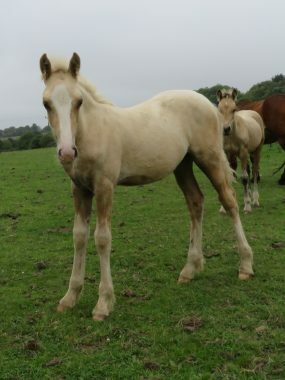 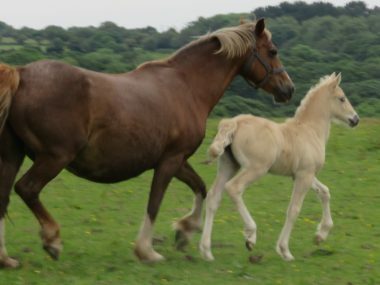 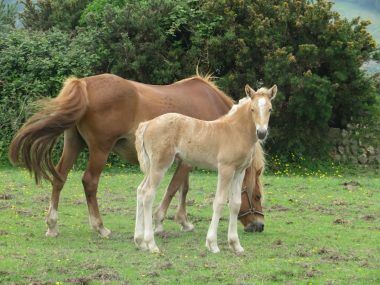 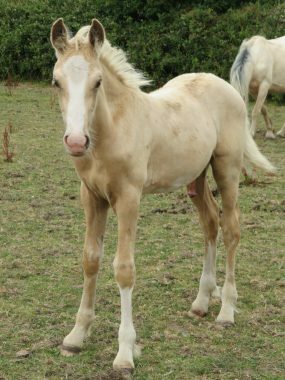 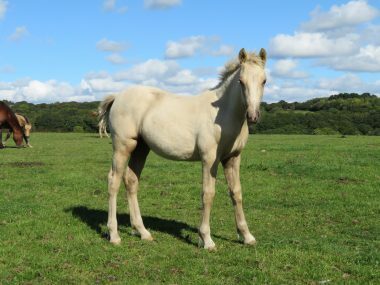 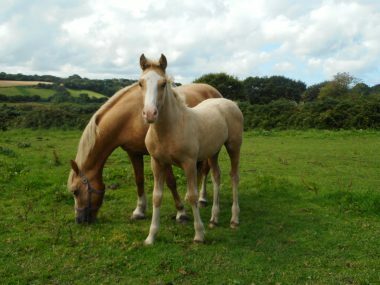 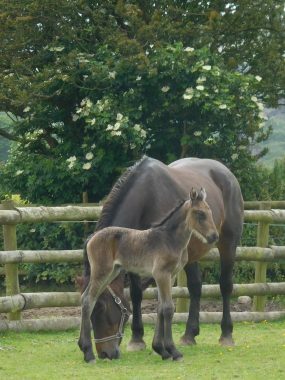 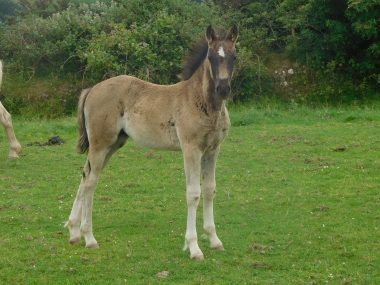 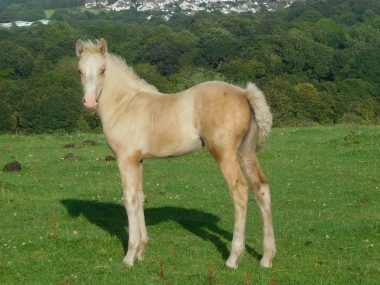 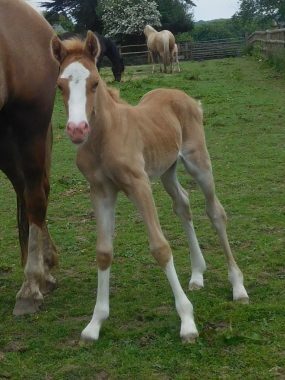 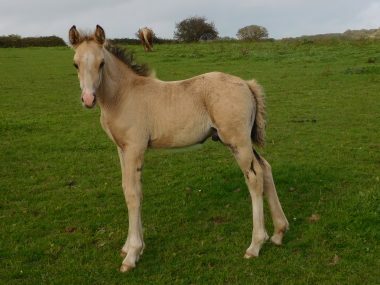 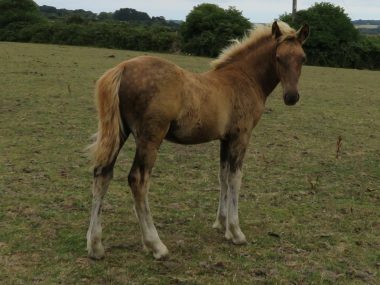 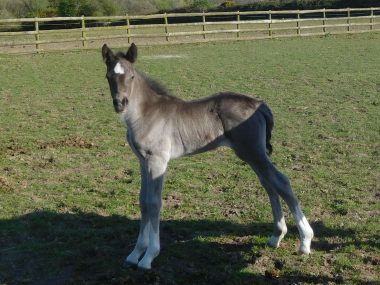 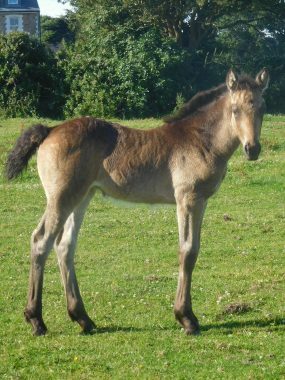 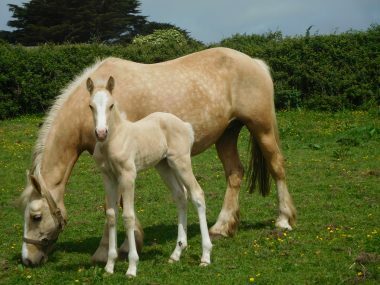 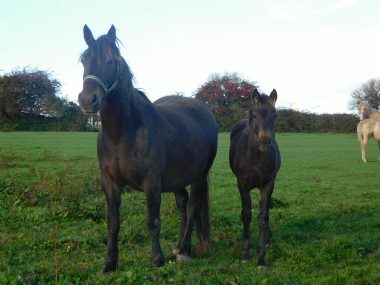 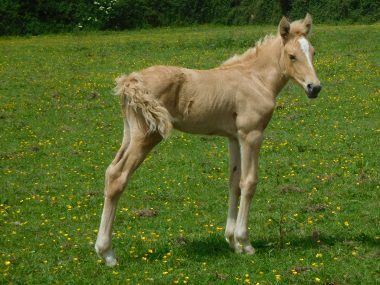 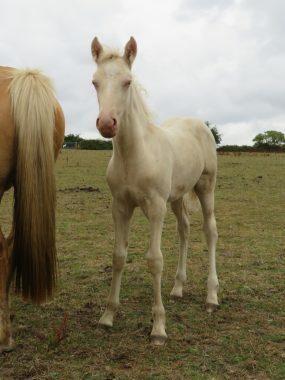 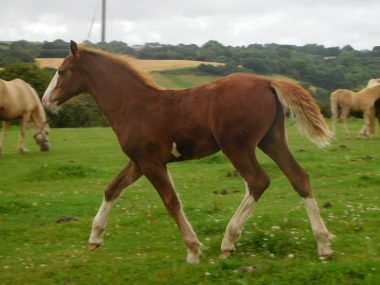 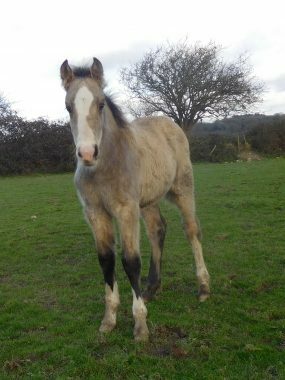 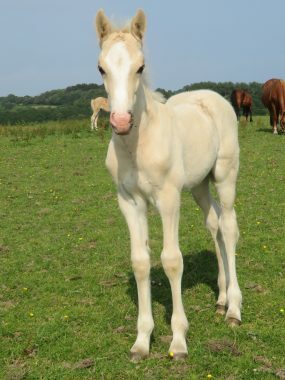 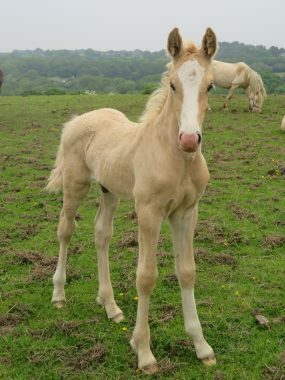 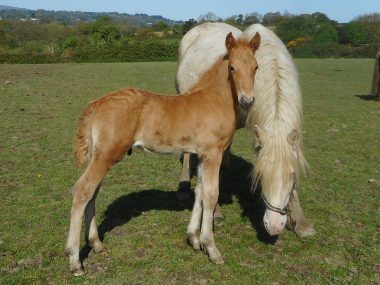 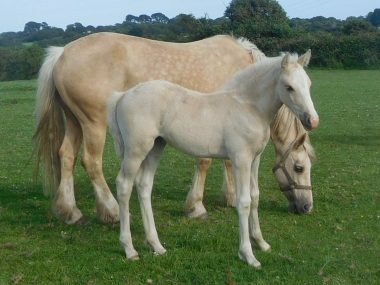 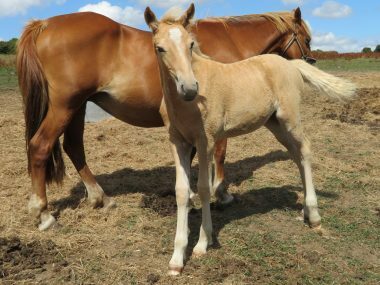 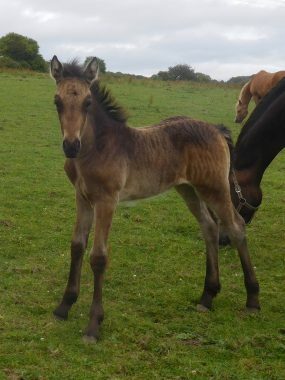 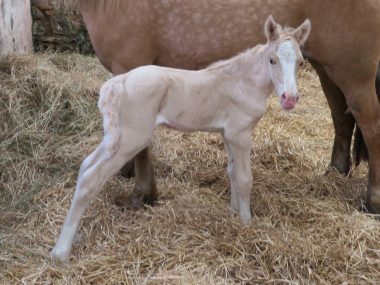 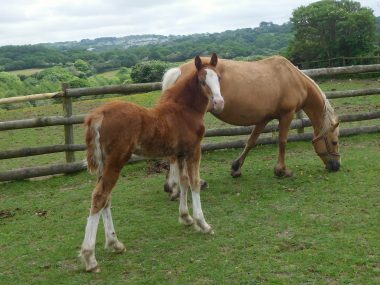 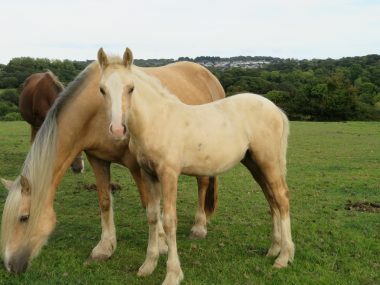 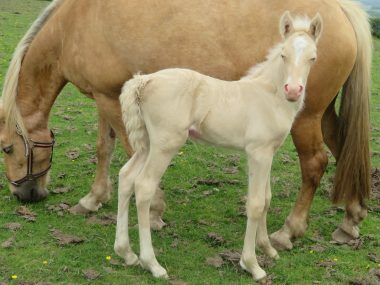 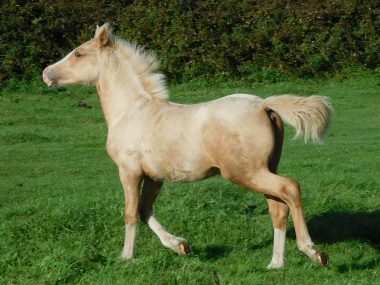 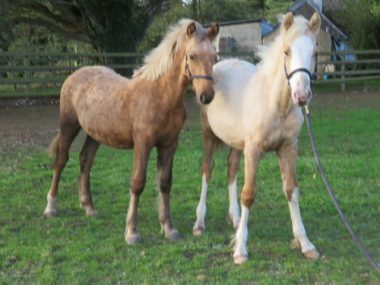 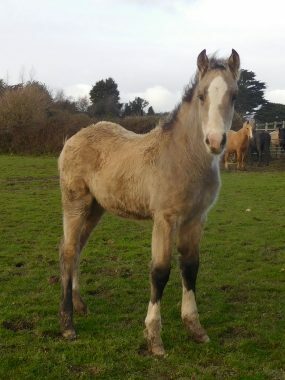 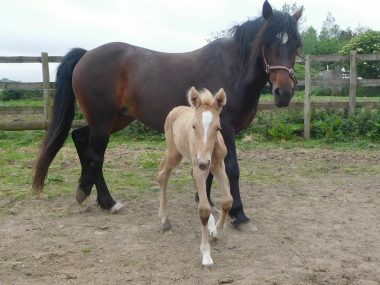 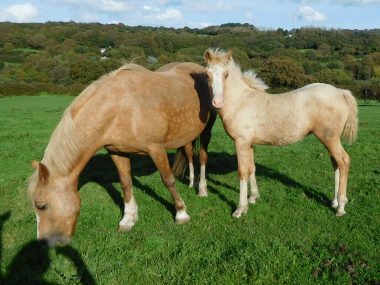 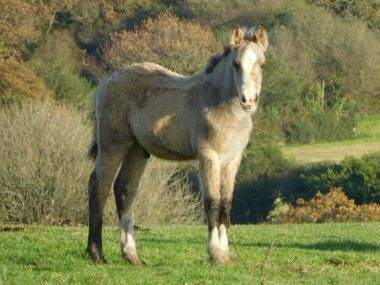 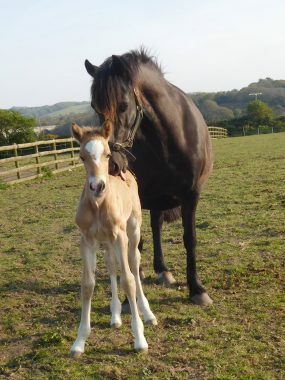 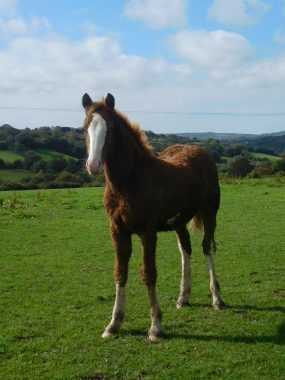 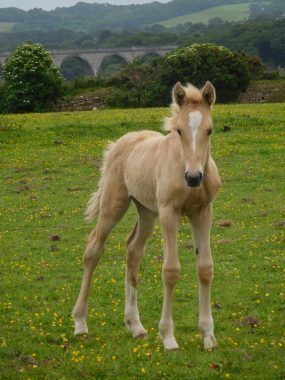 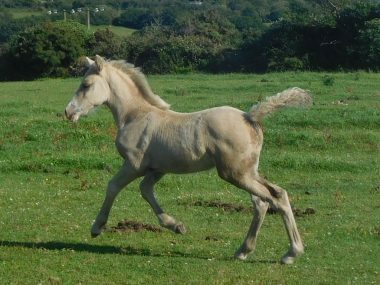 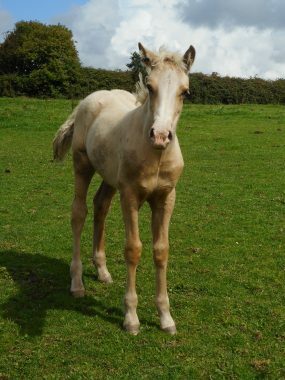 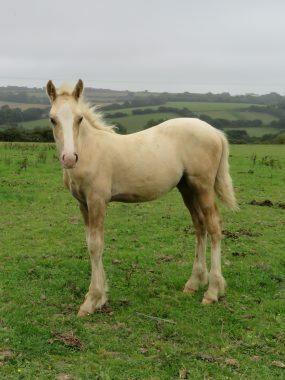 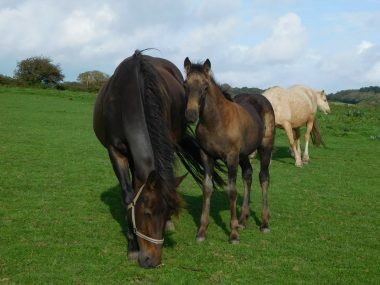 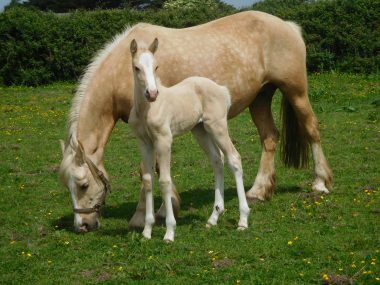 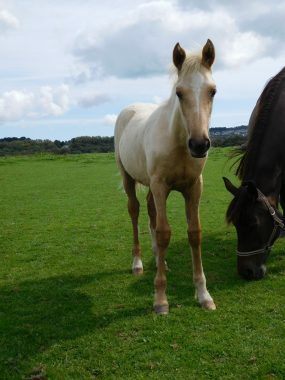 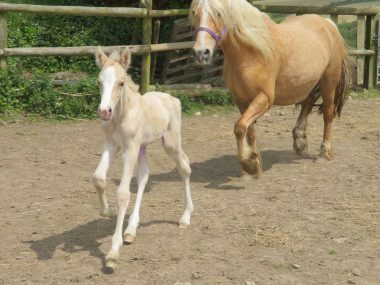 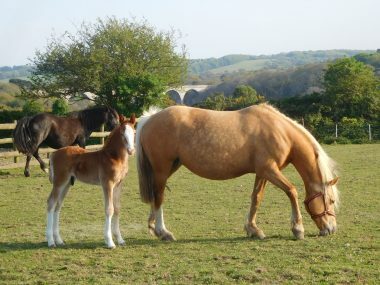 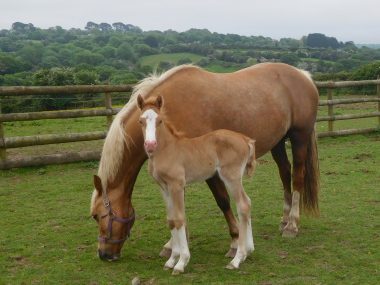 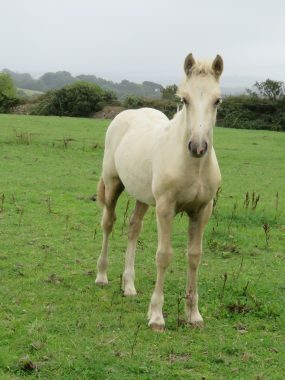 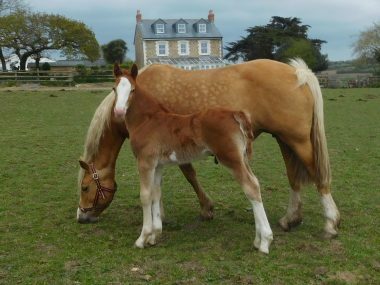 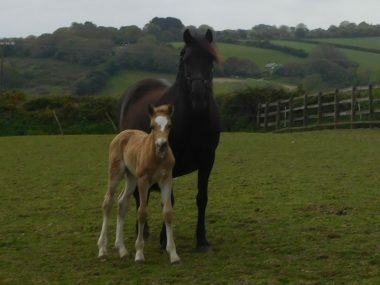 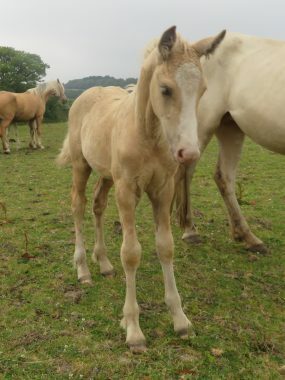 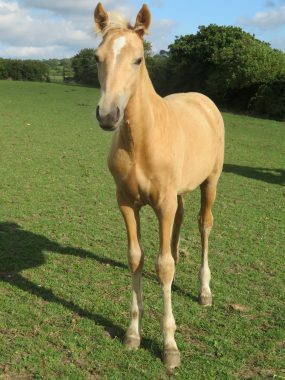 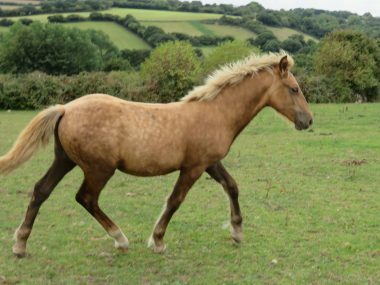 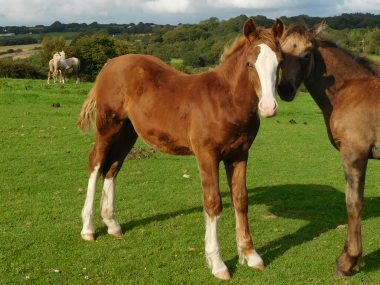 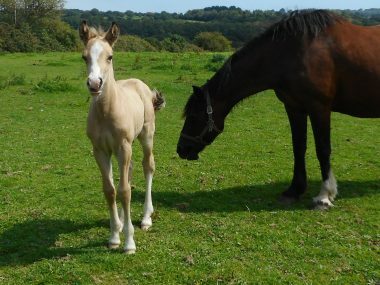 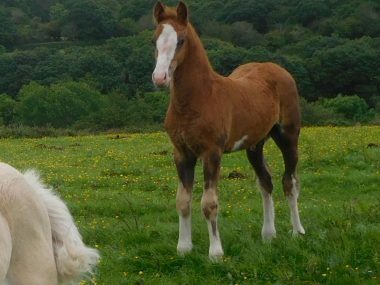 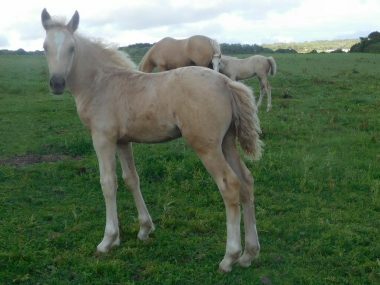 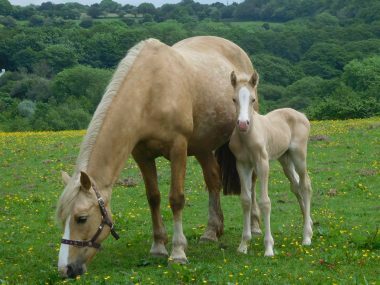 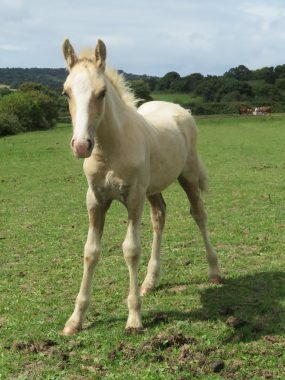 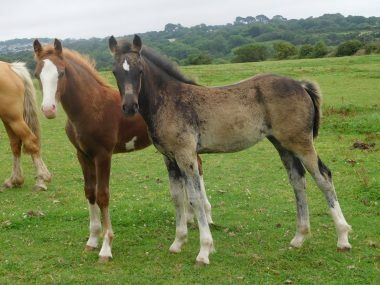 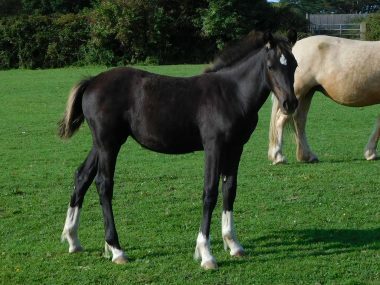 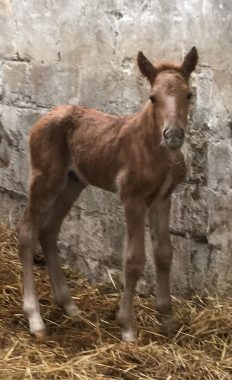 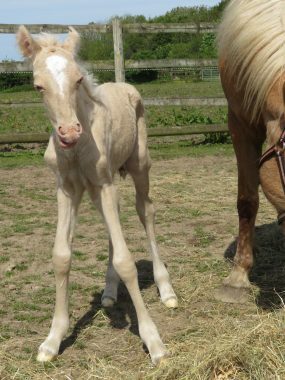 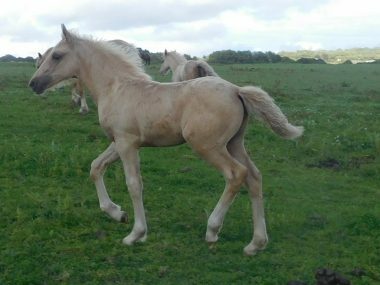 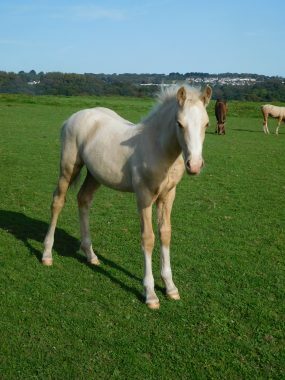 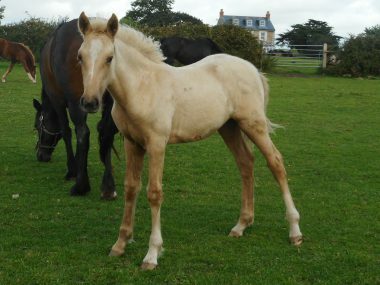 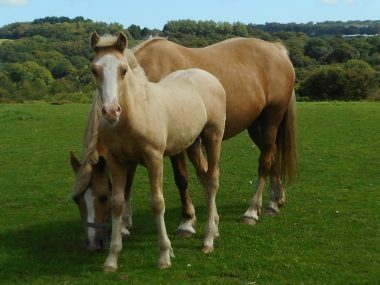 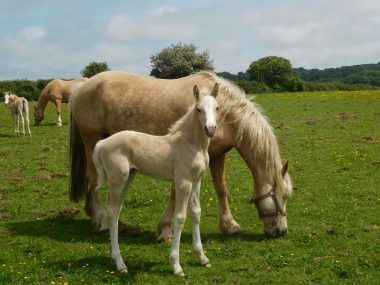 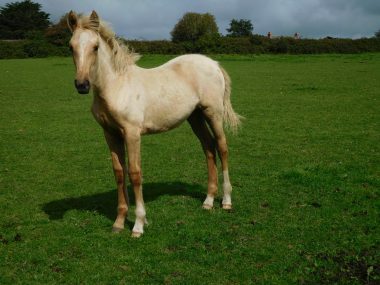 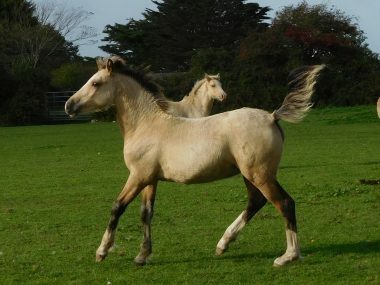 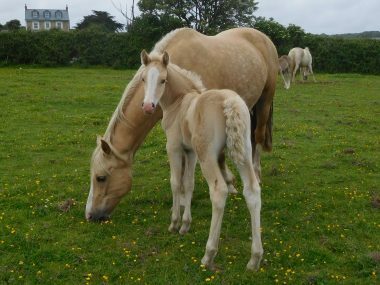 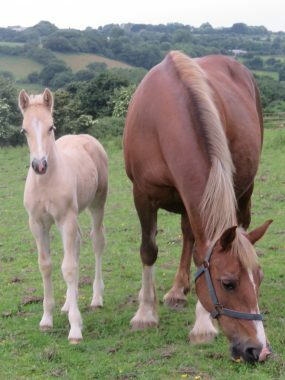 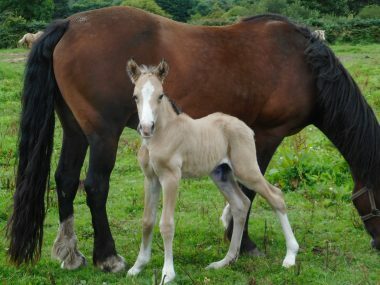 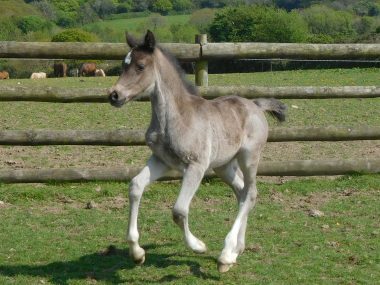 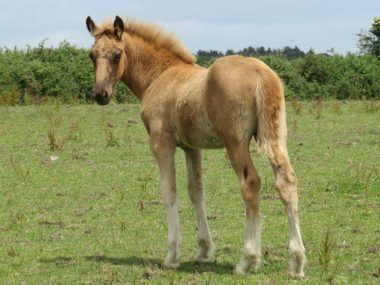 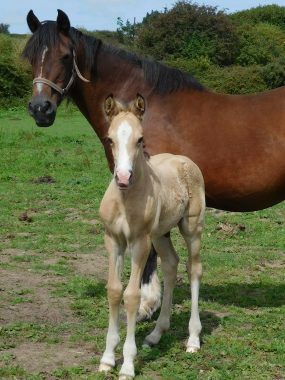 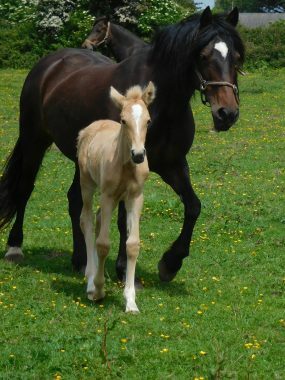 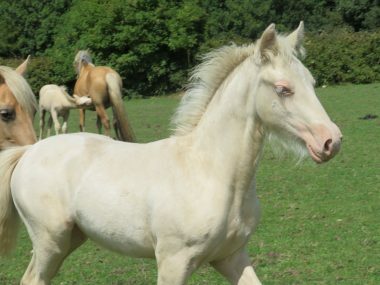 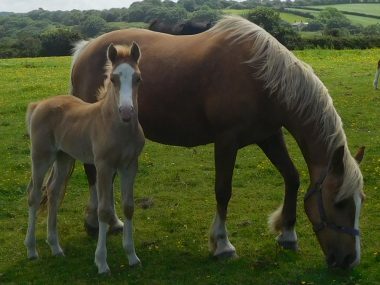 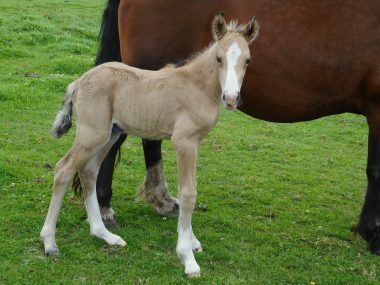 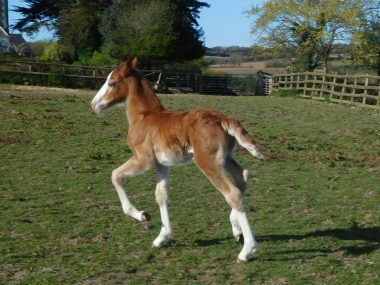 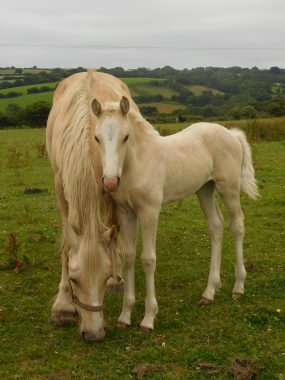 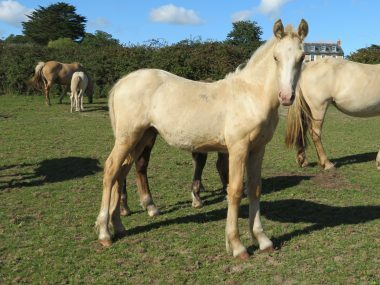 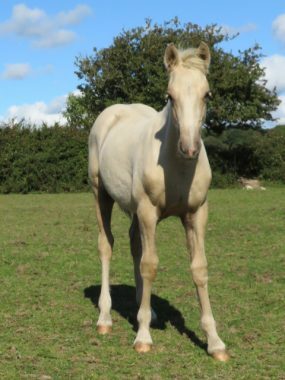 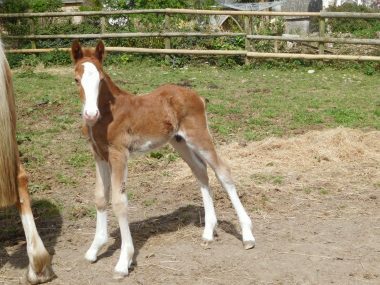 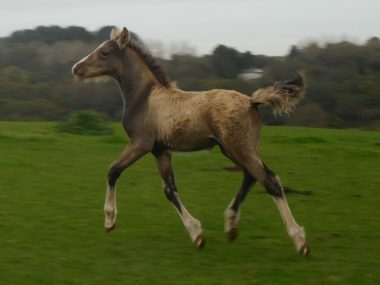 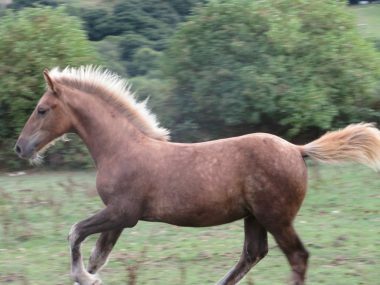 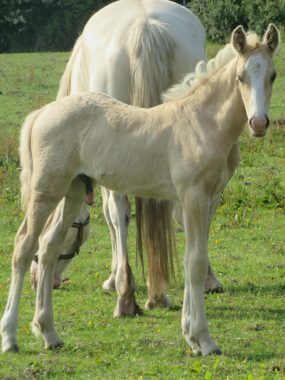 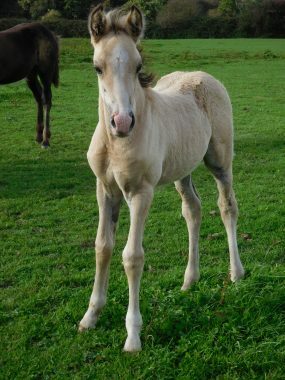 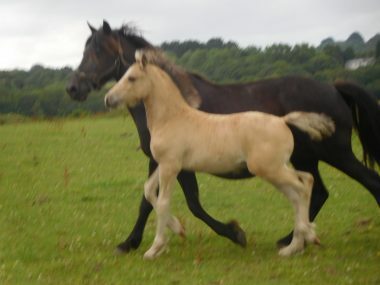 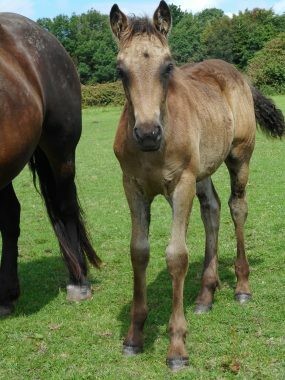 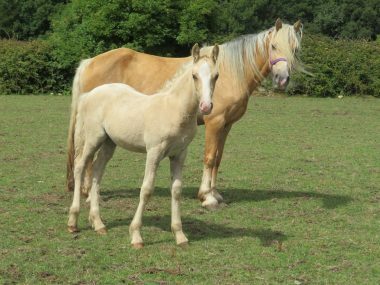 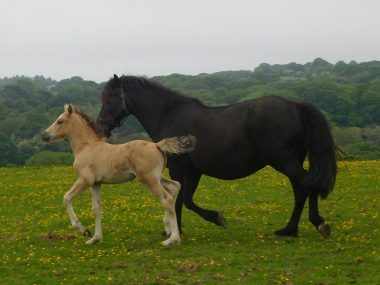 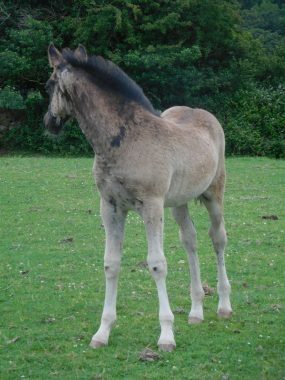 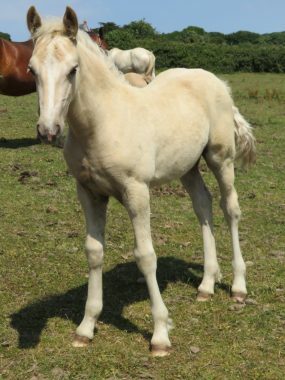 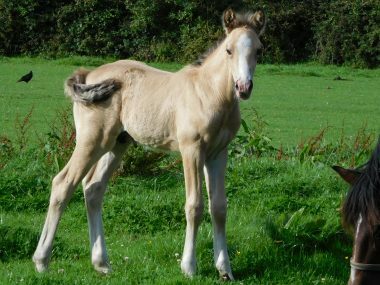 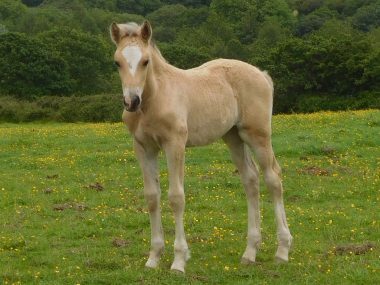 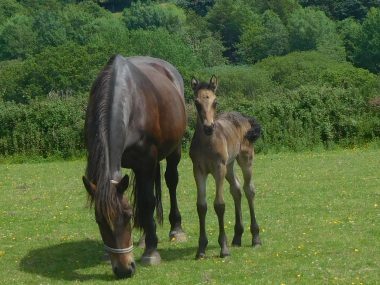 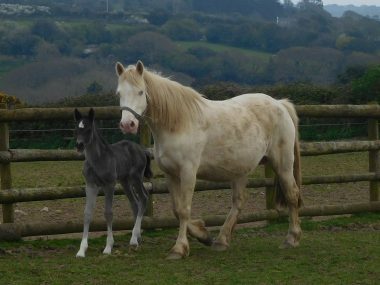 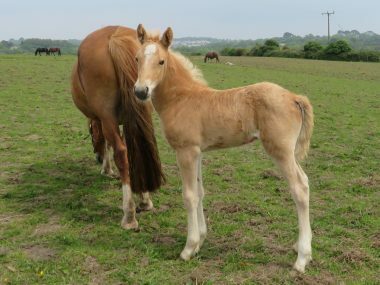 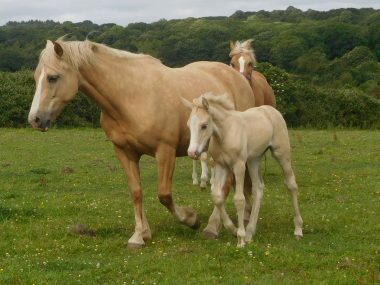 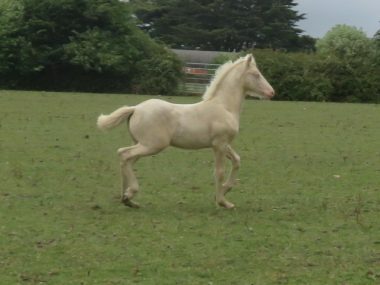 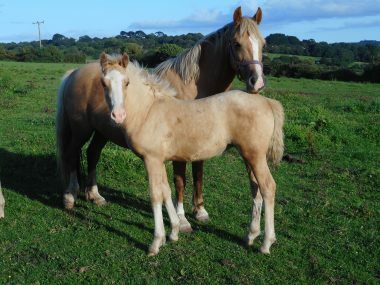 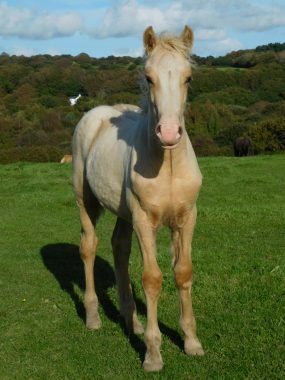 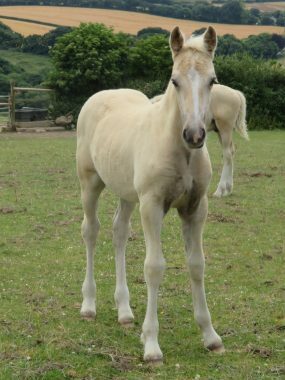 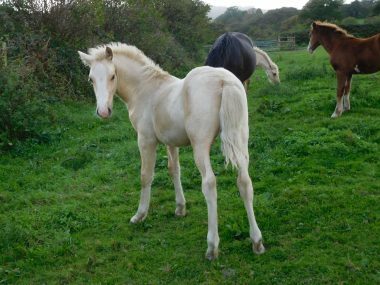 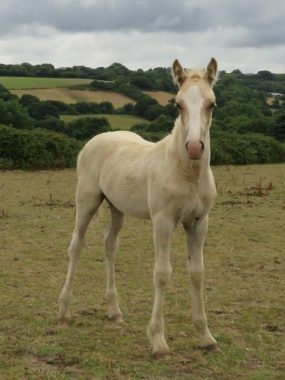 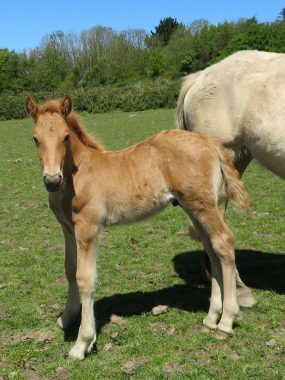 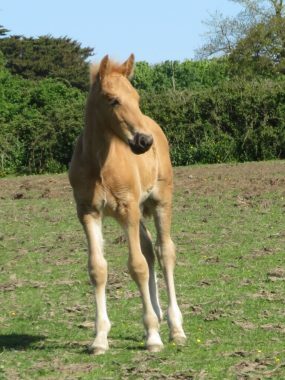 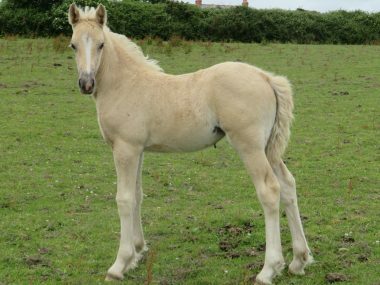 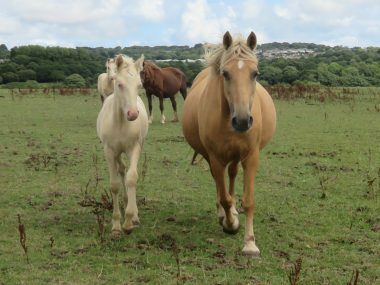 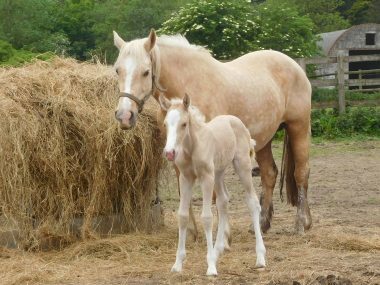 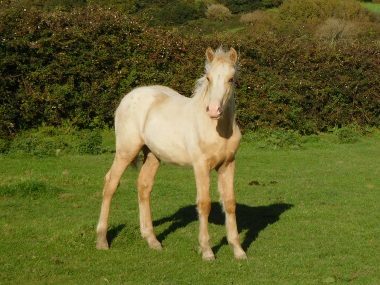 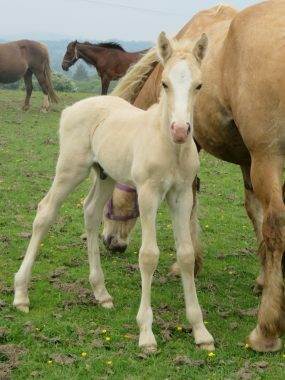 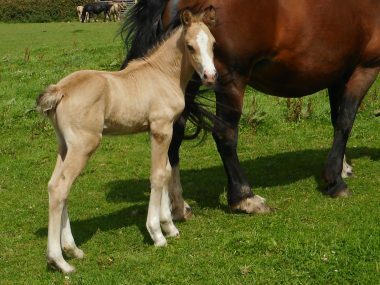 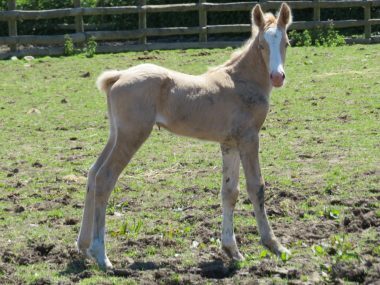 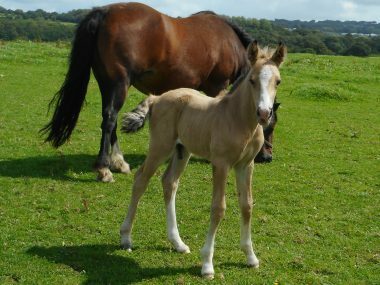 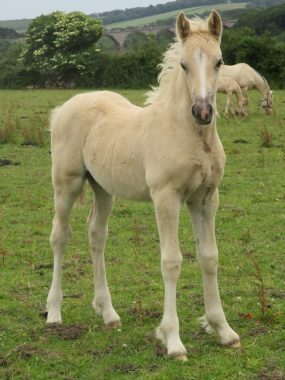 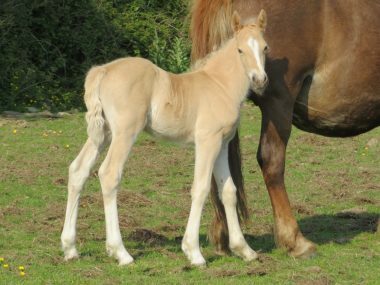 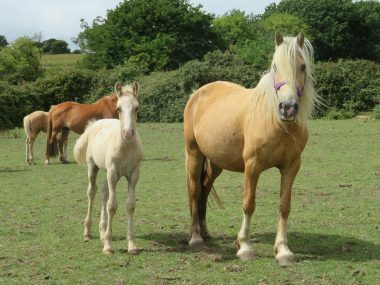 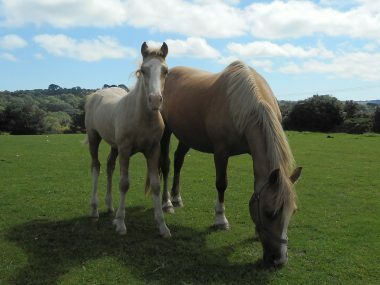 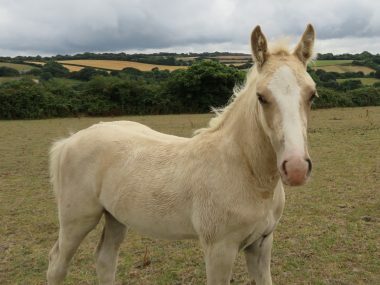 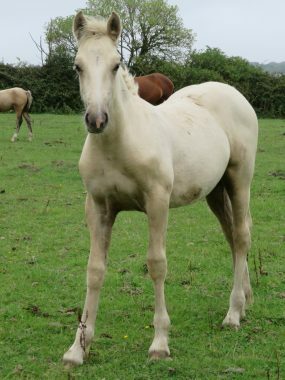 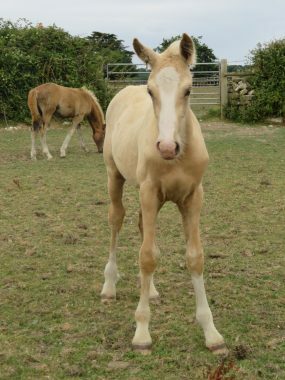 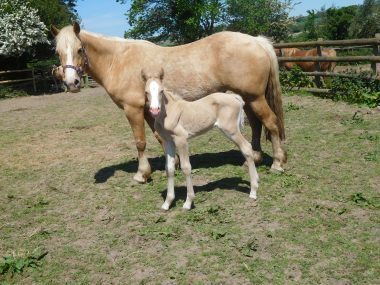 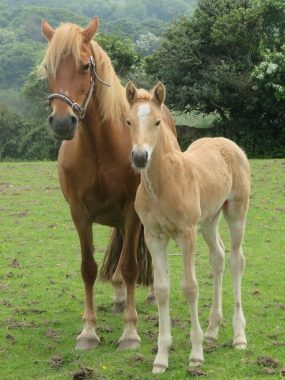 Xsara’s foals are quite dark at birth and turn Palomino. 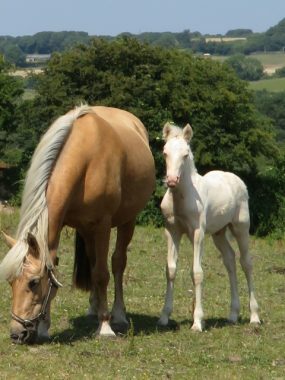 Sire is Cremello and Dam is Palomino so guaranteed either Palomino or Cremello. 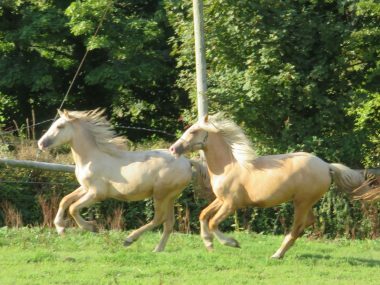 Copyright © 1999-2018 All Rights Reserved. 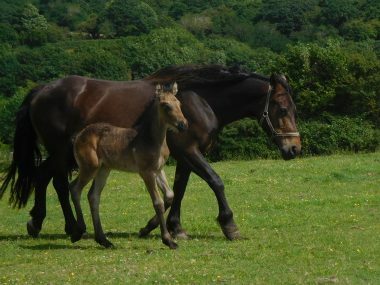 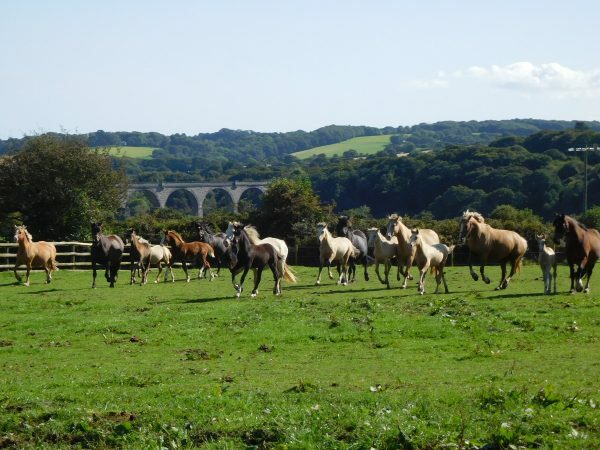 Designed & Hosted by Equestrian Websites.